We found a cute little house on top of a hill on a .58 acre plot. 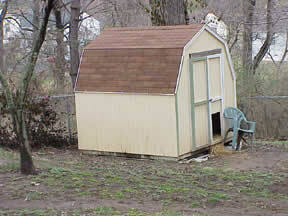 There's an actual fenced off dog run and palatial dog house for Riley. The back porch craves evening parties. 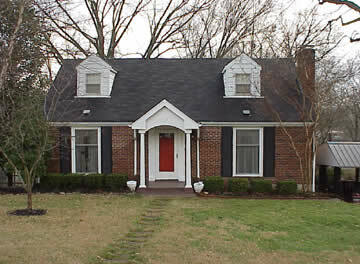 It's only twenty minutes from Vanderbilt and on the North of the city (convenient for Northerners). Sally says the tree is a Crepe Myrtle. 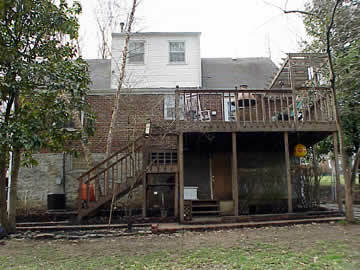 The back yards are huge. See how far away the neighbors are! 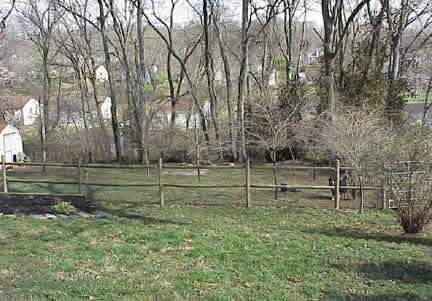 Note- that split rail fence is not the end but rather divides the yard into people and dog portions- that's Chez Woofe off to the left. 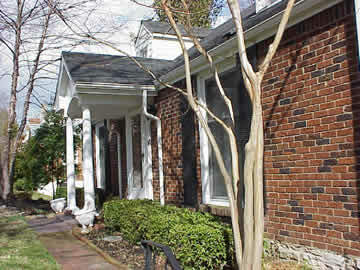 There is a nice brick walkway from the side of the house and a patio underneath the porch opening into the basement. 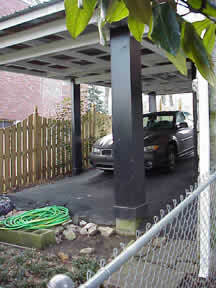 Carports, endemic to the South. This one is unique-looking, slightly Oriental. Those are Magnolia leaves trying to muscle their way into the shot.